theHotness | Happy 11th– Still Jill Scott Hot! 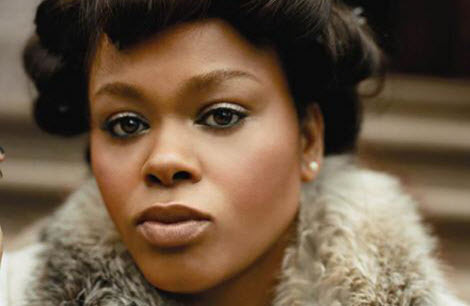 Happy 11th– Still Jill Scott Hot! What I thought I knew I don’t seem to. Sometimes, and maybe even especially, when we are investing in something or someone we love, we lose our way. So worried about making it work we forget THE WORK. I stand with Jill asking questions of God and myself. At least I am still standing. theHotness is still here and still hot. I thank every single one of you for all of your support, your comments, your RT’s, your Facebook “likes” and your input. I am humbled and lifted. Without you we would not have lasted more than 11 days, never minds 11 years! * Special thanks to Erika Harley and Stephanie Mohorn who assisted me in so many essential ways in the very beginning and to Todd Wilson who designed this site, the newsletters, the T-shirts, the business cards, co-produced the launch party and who still helps to keep the Hotness burning to this very day. ** That night at Madison Square Garden the guy next to me, Abe, happened to record Jill singing “Hear My Call.” Of course I begged to get a copy of it and thanks to him, here it is. Enjoy! this is soooo impressive, nicole! big love, and here’s wishing you a dozen more 11 years to come! hoping the site grows from strength to strength, my sister – this entrepreneurial story is not an easy road, but you’ve walked it with grace and panache….well done! Congratulations on 11 years of hotness!!!! Thank you for the lOVE Butter!!!! I am putting it to good use. may your blessings grow and continue. Happy Bornday and congrats on 11 years of hotness!!! I’m proud of you for taking something that you are good at as well as passionate about and putting it out there. Here’s to you and Hotness as you achieve continued success, peace, and blessings! Much love to ya, sis! Keep bringing it, mama – you inspire us…YOU are thehotness. The world according to Ms Q – my take on what’s interesting, stylish and cool: restaurants, food, wine, music, cocktails. Thank you all so much for supporting theHotness. More good stuff to come!